It doesn't get more fresh and southern than a mint julep. You can just picture ladies dressed in their Sunday best with pastel colored outfits complete with massive hats sitting on an expansive porch or watching the Kentucky Derby. For bartenders, this is a simple drink that is easy to make and is sure to be a hit on a warm spring afternoon. All you need is one teaspoon of powdered sugar, four mint leaves and a couple ounces of bourbon. Mix the mint, sugar and a little water in the glass before adding the bourbon and plenty of ice. For an extra touch, garnish the drink with a couple extra mint leaves. Some of the best spring drinks incorporate fresh herbs, which provide an aromatic touch of flavor that pairs well with citruses and other seasonal fruits. This drink combines lemons and thyme for a light and refreshing taste that has just a hint of sweetness. Combine citrus vodka, lemon-thyme syrup and two lemon wedges in a shaker to start. Be sure to muddle the lemons to fully release their oils before shaking the mixture. Pour into a highball glass and finish the drink off with some club soda and a sprig of thyme. Tequila makes an excellent base for summer drinks because it mixes well and can be bright and crisp. For the tequila lovers, this simple drink is a tasty alternative to a margarita while still offering a great combination of sweet and sour. 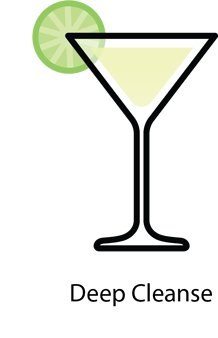 The cocktail uses two ounces of white tequila, .75 oz of both honey syrup and lime juice to create a smooth and tasty final product that compliments the tequila without masking it. A Moscow mule is always a great drink to have on the menu, but this variation incorporates some of the flavors of the season and elevates a classic mule. Start by thoroughly muddling 4-5 blackberries. Add two ounces of vodka, fresh lime juice, and ginger beer before topping it off with a few more whole berries. The end result is a beautiful and tasty drink. Remove the gin from this cocktail, and you have a drink that would be just as at home at a health spa. The deep cleanse mixes two ounces of aloe vera juice with a touch of simple syrup, lime juice, cucumber slices and a shot of gin for a perfect spring drink. Be sure to muddle the cucumber and syrup before straining for a cool, refreshing drink that is also unique and sure to please. For those who want to take fruity flavors to the next level, this drink makes the most of sweet pineapple flavors. All it takes is two ounces of mezcal, pineapple syrup, triple sec, lime juice, and a touch of pineapple juice. The drink is both sweet and smokey for a tasty spin on spring cocktails. As you update your spring cocktail menu, just remember to think light and refreshing and look for ways to incorporate seasonal fruits, herbs and flavors. Your guests will appreciate a tasty cocktail bursting with spring flavors.